Perhaps it is merely a product of our overexposure to dispensational theology, but many Christians refer to the time between the end of Malachi and the beginning of Matthew as the “intertestamental” period. Unfortunately, this could not be further from the truth. Before we go further, it must be told that I am one of the many Christians who referred to this period of time by that term myself up until recently. Thankfully, Peter Leithart has come to the rescue once again. 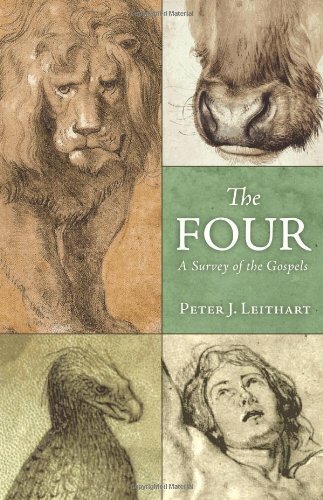 I’ve recently begun going through his book The Four with a friend from church. My friend and I just finished going through the second chapter but it is something that Leithart wrote in the book’s introduction that I would like to bring to your attention here. But Leithart offers another, more profound critique of the term as well. It’s one thing to simply believe that a five hundred year long period of time isn’t important. It’s quite another thing to believe that God has entirely “checked out.” While a learned dispensationalist would argue against this language, the reality is that dispensational laity essentially believes that the “intertestamental” period is a time when God is not actively involved with his covenant people. In Scripture, “testament” is another word for “covenant” Yahweh’s covenant is the marriage relationship that He enters with human beings, especially with Israel, which includes His commitment to bless his people and the demands He places on them. “Testament” or “covenant” refers to the whole collection of rites, signs, rules orders, and offices that make up the life of God’s people. History belongs to God. He is the great author. To look at periods of time in history and assume that God is not acting is to think like a pagan. Leithart goes on to show in chapter one how the Bible gives an abundant amount of information about the history between 500 B.C. and 4 B.C. (see the book of Daniel). And with the perspective and history that Leithart offers, one’s view of God’s covenant reaching its climax in Jesus takes on a whole new light.